Full House star Lori Loughlin and her fashion designer husband, Mossimo Giannulli, along with 14 other parents were hit Tuesday with a new money laundering charge in the sweeping college admissions bribery scheme. 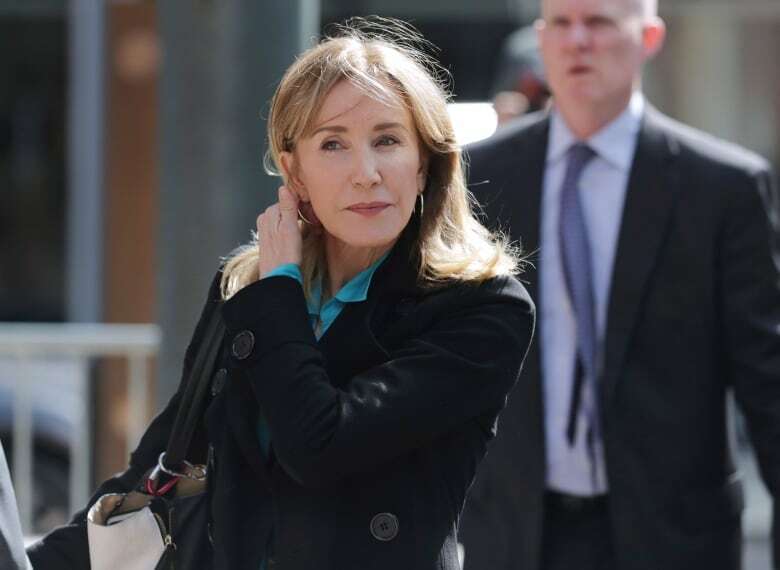 The move comes a day after fellow actor Felicity Huffman, 12 other parents and a coach agreed to plead guilty — signalling an escalation in the case against the parents who are continuing to fight the allegations against them. Amy and Gregory Colburn, a California couple accused of paying $25,000 US to cheat on their son’s SAT, were indicted on the money laundering and mail fraud conspiracy charges last month. Loughlin and Giannulli are accused of paying $500,000 US in bribes to get their daughters into the University of Southern California as crew (rowing) team recruits, even though neither of them played the sport. Huffman, the 56-year-old Emmy-winner who stared in ABC’s Desperate Housewives, was accused of paying $15,000 US disguised as a charitable donation to have a proctor correct the answers on her daughter’s SAT. She and the 12 other parents agreed to plead guilty Monday to a single charge of conspiracy to commit mail fraud and honest services mail fraud.